Updated: 6:00 p.m. | Posted: 5:02 p.m. 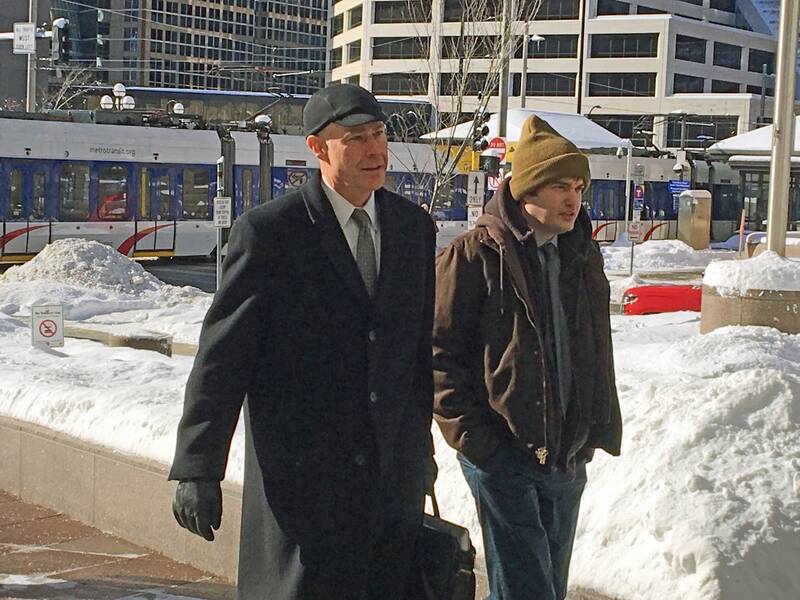 The 31-year-old St. Paul man suspected of wounding a school bus driver in Minneapolis earlier this week appeared in Hennepin County court Friday to verify his identity, but didn't enter a plea. In a surprise twist, the Ramsey County Attorney's Office said Friday that Kenneth Lilly was involved in a fatal shooting in St. Paul in 2015. In the bus driver case, Lilly faces felony charges of attempted second-degree murder and second-degree assault. Prosecutors said on Tuesday Lilly fired five bullets into the windshield of a school bus, hitting the driver once in the arm and grazing his head. According to the charges, Lilly's car and the bus were involved in a minor collision near the interchange of Interstates 35W and 94 just south of downtown. Lilly allegedly told officers he feared for his life before he discharged his gun. Police say an 8-year-old girl was on the bus at the time of the incident but was not hurt. Hours after the hearing, the Ramsey County Attorney's Office released a brief statement to explain why Lilly was not charged in another shooting. Lavauntai Broadbent, 16, was killed as he was allegedly trying to rob a man at a park near Mississippi River Boulevard. The county attorney's office said in the statement that it had declined to bring criminal charges against Lilly in Broadbent's death since the shooting was "legally justified" under Minnesota law. Outside the Minneapolis courtroom, attorney Thomas Plunkett said Lilly is "concerned" about the school bus driver and the girl. "Mr. Lilly is very concerned about their well-being and extends his well-wishes to them," said Plunkett. He added that more information about the case will come out later. In a separate statement on the 2015 shooting, Plunkett and attorney Charles Clippert said Lilly was defending himself and a young woman as they were robbed at gunpoint. He said his client "takes no joy in those events, and has struggled with the inevitable emotional turmoil that follows being forced to act in such a way." Hennepin Judge Peter Cahill said at the hearing that Ramsey County has voided Lilly's permit to carry. If Lilly is convicted of either charge, he will permanently lose his right to own or possess firearms in Minnesota for the rest of his life. Lilly posted a $500,000 bond and is no longer in custody. His next court appearance is scheduled for March 8.